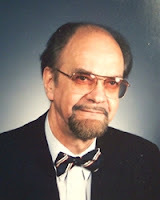 Endel Tulving, in 1972, made an important distinction in our long-term memory between episodic memory (remembered experiences and events in time and space) and semantic memory (facts, ideas, concepts, rules independent of time and space). This was largely based on an analysis of internal memory states, and the experimental testing of memories, an anathema to pure behaviourists. It was also confirmed by brain damage studies. His 1983 paper Elements of Episodic Memory has become a classic in memory theory. Episodic memory is important for our sense of identity, in that it places us in ‘time’ and helps define who we are. Episodic memory makes time travel possible, a skill that stood us in good stead when remembering past experiences, predicting future events and deciding what to do based on this recalled knowledge. This cognitive function must have played a significant role in our evolutionary past. Episodic memory is thought to have evolved out of semantic memory and relies, to a degree, on semantic memory. Semantic memories, stored categorically, are quicker to recall than episodic memories that are stored temporally. Episodic memories are encoded, Tulving has shown, through cues that overlap the memories themselves. These cues allow retrieval. The theory therefore explains memory failure, not so much in terms of memory decay, as failure in retrieval. Research on cues and retrieval have shown that context and physical environment do improve memory, encouraging the view that learning should take place in the context in which it is likely to be used. Semantic memories may be turned into episodic memories through loci and peg systems. For examples historical sequences placed along a known route. Encoding is perhaps the one area of memory theory that has the most direct impact on learning, as understanding encoding can led to both better teaching and better learning. Tulving showed the importance of cues and when learners make the effort to identify and note down cues they improve retention (an obvious example is mnemonics). We now know the difference between maintenance and elaborative encoding strategies. (Elaborative encoding leads to deeper processing and therefore better learning.) We also know that the organisation of learning is important in terms of relating new learning to previous knowledge, emotional and context. Does the distinction have relevance for the use of technology in learning? Media mix is one area of interest where one tries to match the appropriate media to the most appropriate type of memory, as well as using useful cues. Video and the use of scenarios to illustrate behaviour may appeal to episodic memory and the contextual cues may be more appropriate for learned behaviour in specific real world contexts. Tulving’s work distinguishing episodic from semantic memory is important for those who teach or learn. It is an important guide for pedagogy in terms of what medium one should use as well as appropriate cues for encoding and retrieval. He has given us the theoretical understanding that supports the use of tools that encourage the organisation of learning and content. Memory is not monolithic and Tulving showed us that the differences are instructive. Tulving, E. (1972). Episodic and semantic memory. In E. Tulving and W. Donaldson (Eds. ), Organization of Memory (pp. 381-402). New York: Academic Press. Tulving, E. & Madigan, S. A. (1970). Memory and verbal learning. Annual Review of Psychology, 21, 437-484. Foer, J. (2011). Moonwalking with Einstein: The art and science of remembering everything. New York: Penguin Press. Tammet, D. (2009). Embracing the wide sky: A tour across the horizons of the mind. London: Hodder Paperbacks.